Gothong Elementary School, then the Tulay National High School; the then Golden Z CLubs at the University of San Jose -Recoletos, University of San Carlos and University of the Visayas and currently the Z club of Benedicto College, the health projects among others, will be honored during a Thanksgiving Dinner , the Zonta Legends, on November 29, 2018, at the Cebu Country Club. The Golden November opening salvo where all the club’s projects and linkages will be presented is at 1:30pm, Thursday, November 8, 2018 at the Ayala Activity Center. Zontian President Minnie Yuvienco is the over-all coordinator. 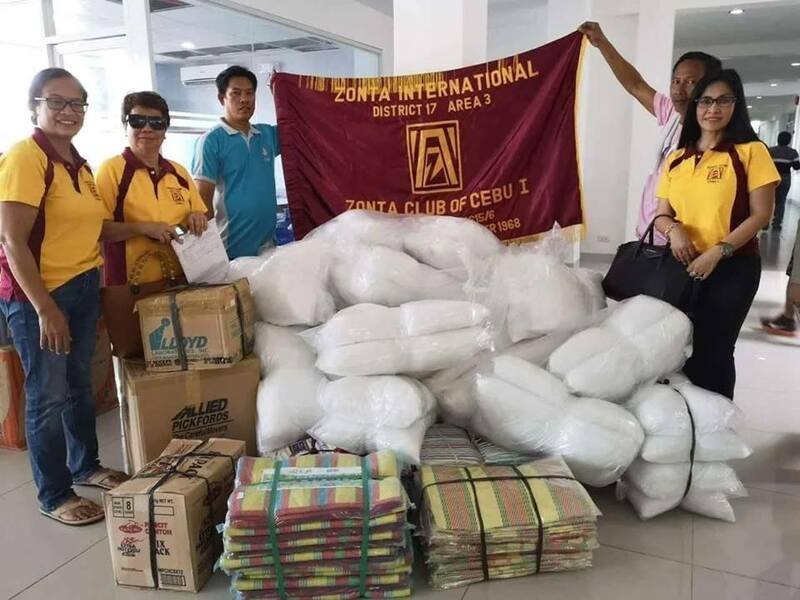 November of each year had been declared by the Province and City of Cebu as the Zonta month. The Zonta Club of Cebu 1 ‘s major partners for November 8 and 29, 2018 events : are Ayala, Philippine Airlines, Turkish Airlines, Island Souvenirs, IPI, Pacific Video, Go Large, Radisson Blu, Marco Polo Plaza Hotel; Cebu Fortune Travel, Alcordo Advertising, , GMA7, MyTV, Golden Prince Hotel & Suites, Speechcom International; Anita’s Bakeshop ; Clifford Gawchua, Ramon Sebastian, Zontians Joy Onazawa and Beverly Dayanan, and the list continues.